Running your own business is a dream that is shared by many. Thinking of an idea and making it profitable sounds like the ideal scenario, whether it’s a pub, a fish and chip shop or an Italian restaurant, we all think we have what it takes to give the public what it needs. But, what if you want to sell alcohol? How would you acquire an alcohol licence and what would it mean for you? So that you’re up and running in no time, Flogas– specialists in commercial gas– takes you through everything you need to know about this important piece of legislation. General information regarding the premises, including the address. You must also stipulate who you wish to be the designated premises supervisor (DPS) under the new licensing laws. How you intend to promote the four key licensing objectives, which are: the prevention of crime and disorder, public safety, the prevention of public nuisance, the protection of children from harm. 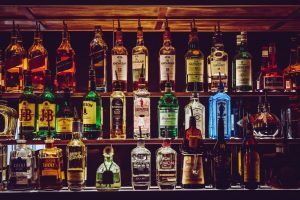 General staff in an establishment don’t need a personal licence, but all businesses with a liquor licence must have a premises supervisor that holds a personal licence. If you are going to be the owner of the premises licence, then you would also apply to be the personal licence holder if the pub was your own business. Furthermore, anyone who works with alcohol should be authorised to do so by the personal licence holder. With this information, you’ve got everything you need to get started with your application— cheers!